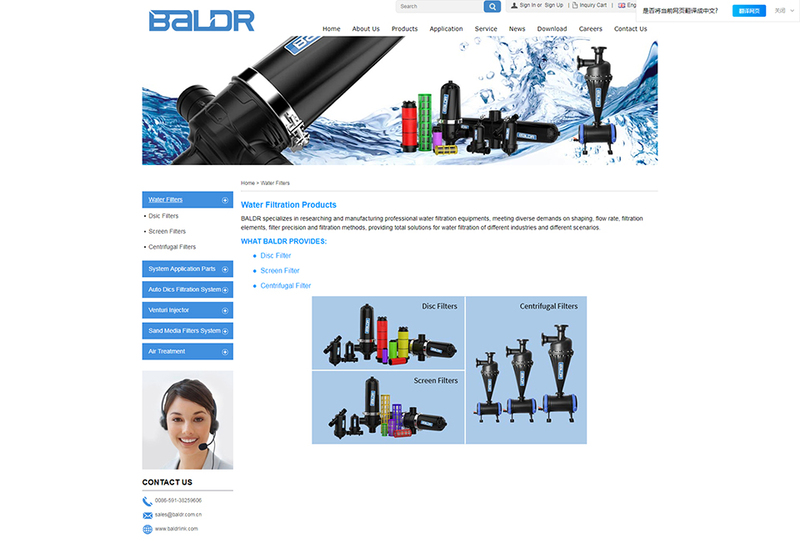 简介：简介：Founded in October 2012, BALDR is a Sino-US joint venture and a professional environmental equipment manufacturer. Through introduction of advanced water filtration technology and air deodorant patented technology of BALDR INTERNATIONAL LLC in the United States, we are committed to developing and producing equipment of the water treatment, water filtration systems and air deodorization. 简介：Founded in October 2012, BALDR is a Sino-US joint venture and a professional environmental equipment manufacturer. Through introduction of advanced water filtration technology and air deodorant patented technology of BALDR INTERNATIONAL LLC in the United States, we are committed to developing and producing equipment of the water treatment, water filtration systems and air deodorization. 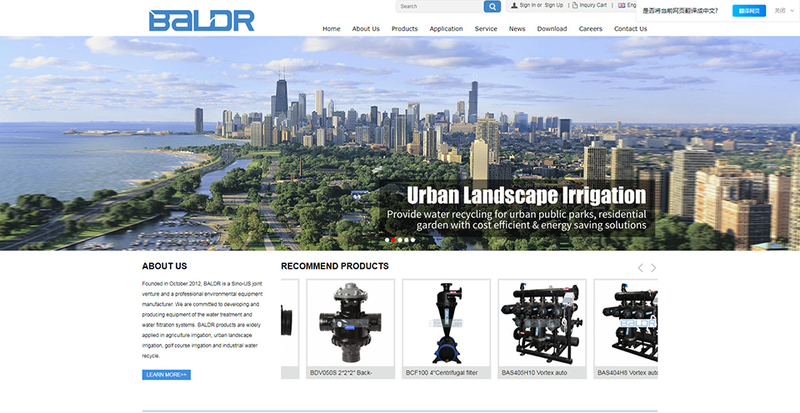 BALDR products are widely applied in agriculture irrigation, urban landscape irrigation, golf course irrigation, industrial water recycle and municipal industrial air deodorization. 主营业务：we are committed to developing and producing equipment of the water treatment, water filtration systems and air deodorization. 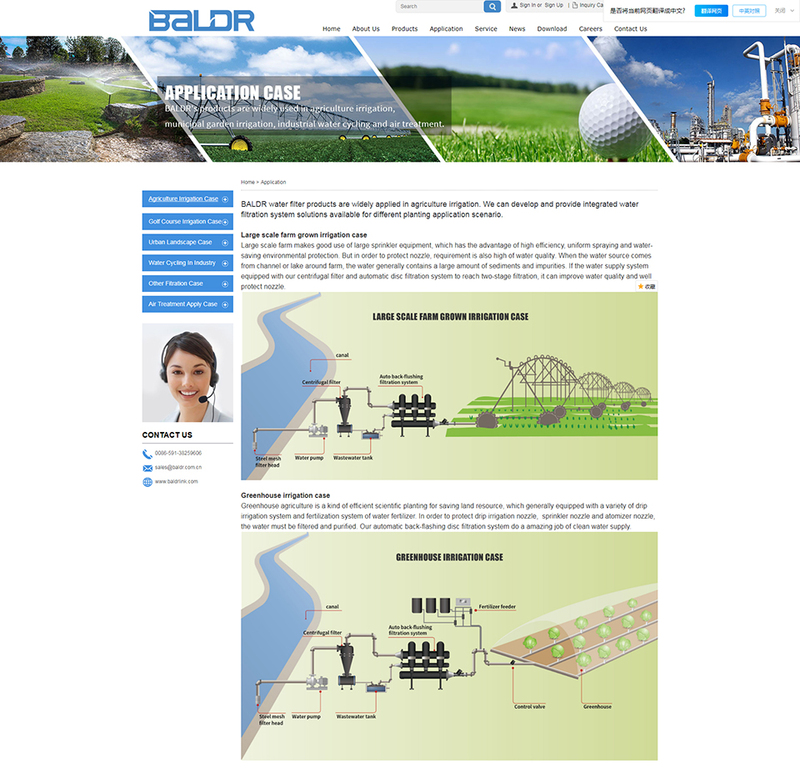 BALDR products are widely applied in agriculture irrigation, urban landscape irrigation, golf course irrigation, industrial water recycle and municipal industrial air deodorization. Copyright 济宁市果壳信息科技有限公司版权所有 All Rights Reserved.